Oliver Mtukudzi had blood cancer? The late super star Oliver Mtukudzi might have suffered from blood cancer, journalist Lenin Ndebele reveals. In his tribute to the late global icon, Ndebele says when he was a young journalist one of his tasks assigned by the editor was to find out what Tuku was suffering from. 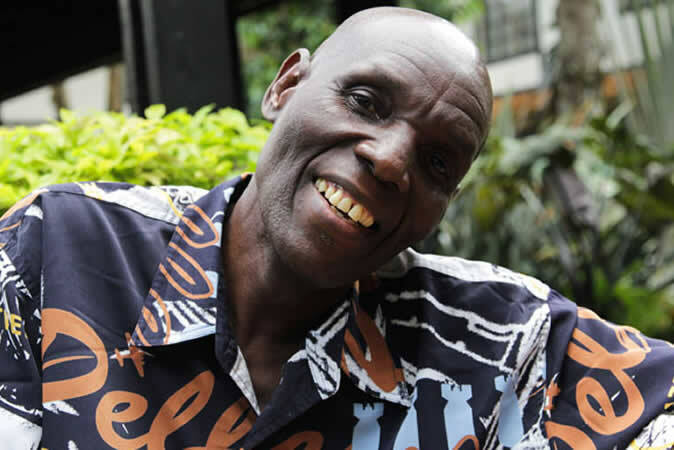 Eventually through his fellow journalist based in South Africa Tuku revealed that he had blood cancer. Mine wasn't a great relationship with Tuku. In 2007 I secured an interview with the superstar thanks to his late son Sam. Sam and I used to kick it together whenever he hit my town, so it was like "Samanyanga my friend needs this interview, he's a young reporter tryna make a name." To many he was humble but Tuku made me follow him around the whole day, at some point he went to sleep and was like check me in three hours. I pestered until we went for dinner together at a local hotel. I had the usual puff questions to stroke his ego leading to my killer question. The editor Edwin Dube (late) made it clear I should come with an answer to "what was eating Tuku" he had lost weight. As that young reporter in the newsroom you would trust with such, I asked him. He starred at me and was like, "Iwe Lenin would you ask your father the same question? I treat you like a son because you are Sam's friend," he said. With that usual training by the editor "don't let sources control you or takeover the interview" I was like, " You are my friend's father but your life is of public interest," then Tuku was like, "Let's have dinner and go enjoy my show and as usual be there at the Jazz Fest (Dec 25 Vic Falls)." My question was never answered and my story turned to look like a reharshed interview from the past. In a week's time Tuku was to perform in Jozi, I told a friend working for the Sunday World, Theo Nyabah about my situation with Tuku. He asked the same question and the Superstar said, "I have blood cancer". Couldn't Tuku at least give me that and I run with the scoop? I was angry at Tuku. Fast forward to 2010 (at the time he was in talks with Dan Tshanda for a collabo) The superstar had a show in Byo, then in the middle he stopped playing and barked at a fan for taking a video, I literally stopped press at The Chronicle for "Tuku shouts at fan." Bang! I hit where Sam Mataure who had returned to the fold wasn't pleased. Whatever the case Tuku was Zimbabwe's export to the world. His story is of a guy who loved his craft, not necessarily the best in his generation but one who had long service, music discipline, a stroke of luck, capacity to build international bridges thanks to Debbie Metcalfe who saw the fire in Tuku and in my view the birth of Tuku Music (the sound) and collaboration with Ringo Madlingozi in 1997-8 was his arrival. Before that people were saying , "Tuku apera akomana" that's when he was belting "Chiri mupoto." Go well legend one of your biggest fans Mathanda Ncube would from time to time ask me to look for some of your classics and send to him in Jozi. Go well Legend. If I was a muso I would do that "aha!" Cough that was a mistake later to become a trademark signature in your music. My personal favourite was the song "Jeri" dedicated to Jack "Jeri" Sadza his close friend who died in 1985. The song was released in 1986. My late father used to play it in remembrance of a friend he had during the armed struggle who was sprayed by bullets that could have been coming his way.